There is no doubt that sporting activity is fundamental to maintaining a healthy body. Regular physical exercise is beneficial for muscular structure and efficient metabolic processes, as well as the body’s natural antioxidant defence system. But, ironically, there is a paradox: the more a person trains, the more potentially damaging oxidants are produced. 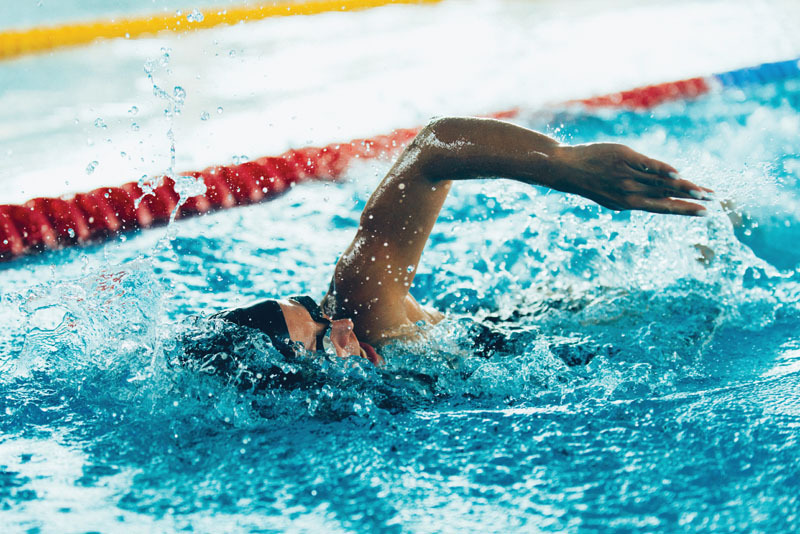 As exercise accelerates normal metabolism, medium to intense sporting activity is associated with high power performance, but also with the increased production of reactive oxygen species (ROS) and, therefore, cell damage. The energy enhancing properties of ubiquinol, the reduced and active form of coenzyme Q10, are well documented. The vitamin-like micronutrient is an important part of the body’s respiratory chain, in which it plays a vital role in electron transport during oxidative phosphorylation and thus in the production of adenosine triphosphate (ATP). About 95% of all aerobically generated energy, essential to each of our cells and all of our life processes, is produced by ubiquinol. Organs such as the heart, as well as muscles — which use a lot of energy — depend on a plentiful supply of this essential cofactor and produce less energy and strength if it is lacking. In this respect, a recent study with ubiquinol is particularly relevant. Carried out in Germany at the Rhein-Ruhr Olympic Camp, the study followed a total of 100 athletes. In this randomised, double-blind, placebo-controlled trial, the young, well trained athletes received either 300mg of ubiquinol or a placebo daily for six weeks. 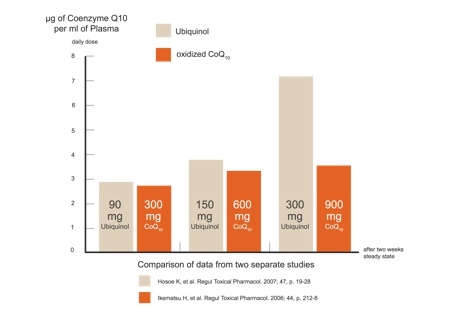 Ubiquinol is more suitable than its precursor, coenzyme Q10, for use in supplementation as the body does not have to convert this 'ready-to-go' nutrient before it can use it (Figure 1). Most of the body’s own supplies are in the form of ubiquinol, which is composed of two more hydrogen atoms than coenzyme Q10. This difference in molecular structure is, however, responsible for some very valuable properties: because it does not have to be converted into an active form first, ubiquinol has a more rapid and better effect in the body than Q10 and is highly bioavailable. All of the athletes in the study had to perform a maximum power output test, and their performance was measured on a cycling ergometer before supplementation and after six weeks. During this time, the subjects trained individually in preparation for the 2012 Olympic Games in London. Both groups significantly increased their physical performance during the treatment period: in the placebo group, there was an increase of 0.30 W/kg bodyweight (+8.5%), whereas in the ubiquinol group, performance levels increased by 0.38 W/kg bodyweight (+11.0%). Interestingly, the absolute difference in the enhancement of the physical performance between the placebo and the ubiquinol group of +0.08 W/kg bodyweight was significant (p <0.03), supporting the theory that ubiquinol supplementation significantly enhances peak power production when compared with placebo. 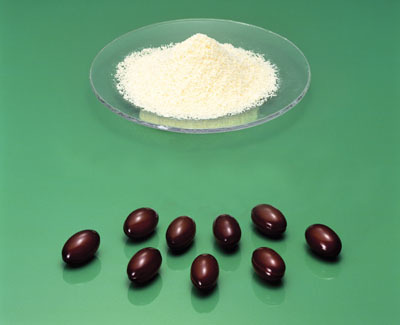 In addition to its role in energy production, ubiquinol is the only endogenously synthesized lipid-soluble antioxidant. Carried in the blood with low density lipoprotein (LDL) and ubiquitously present in all mitochondria, it has strong qualities in fighting the damage caused by reactive oxygen species (ROS).2 Ubiquinol-enriched LDL has an improved oxidative status, becomes more resistant to peroxidation and is able to prevent problems such as atherosclerotic plaque production. It protects cell membranes from free radical damage and contributes to their elasticity and flexibility. Within the inner mitochondrial membrane, this protection is especially important because ROS can occur here in high numbers during energy production (such as during intensive sports training). Because of its antioxidant functionality, ubiquinol also acts as a modulator: owing to the redox environment, it can fine-tune inflammatory signalling.3 By modulating gene expression, ubiquinol may also influence muscle fibre type towards the fibre profile that is found in younger individuals: it can convert slow-twitch to fast-twitch fibres.4 This means that sprinters, who are normally dependent on their genetic make-up, could influence their fibre profile with ubiquinol supplementation. Young and healthy individuals are normally able to produce adequate amounts of ubiquinol endogenously. 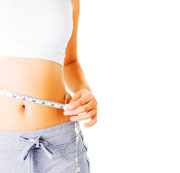 Additionally, small amounts can be taken in by eating a healthy, Mediterranean-style diet. But with increasing age, from the 20s onwards, the body’s ability to produce and dispose of the micronutrient declines (Figure 2).5 Thus, lower coenzyme Q10 levels are associated with ageing. Many age-related ailments, including heart problems, diabetes and cardiovascular disease, are connected with low coenzyme Q10 levels, so supplementation for the elderly is generally advisable. In pursuit of their best possible performance, athletes are in the difficult position of having to balance mitochondrial functionality. Super-compensation is a fundamental training principle for top athletes. To raise their initial level of fitness, a recovery phase follows a training phase, before a super-compensation phase in which exhausted energy reserves are not only replenished but increased beyond their initial levels, effectively 'stockpiling' the body’s energy supplies. But athletes should avoid overtraining. Workouts that are too intense or recovery phases that are too short can be harmful: besides metabolic acidosis and lactate accumulation, heat-shock proteins are released and levels of ROS and cytokines rise. Mitochondria have a central steering role in these processes. 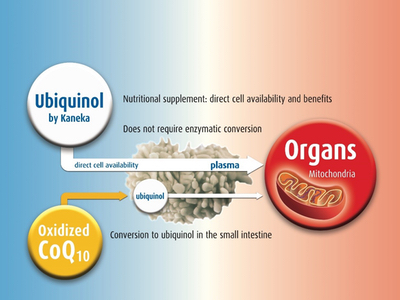 If we focus on this mitochondrial functionality as well as bioenergetics, supplementation with ubiquinol comes into the spotlight: is ubiquinol able to prevent oxidative insult to mitochondria, and how does it affect intracellular oxidative status? To explore the effects of supplementation with ubiquinol, Professor Tiano examined the impact of a single bout of intense physical exercise. The subjects under investigation were 21 well-trained athletes from a rugby team, aged between 21 and 31. 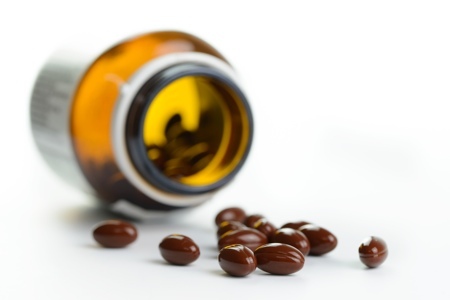 In a double-blind crossover study, they were randomized to take either 200mg of ubiquinol per day or placebo. In Professor Tiano’s rugby team trial, a supplementation phase of one month was followed by a 2-month washout period. Treatment was then switched between placebo and ubiquinol in a crossover manner. Blood plasma samples were obtained from the participants before and after physical exercise provided by a 40-minute run on a treadmill at 80% maximum heart rate. Biochemical analyses, including lipid profiles, antioxidant levels and markers of muscular stress, were conducted on the samples. Results for the placebo group showed a decrease in total plasma coenzyme Q10 content, lowered plasma antioxidant defences, increased intracellular ROS levels and an uncoupling of compensatory mechanisms in mitochondrial membranes. By contrast, the ubiquinol group showed less of a decrease in total coenzyme Q10 plasma levels, as well as lowered intracellular ROS levels during both the exercise and recovery phases, and slightly accelerated recovery of mitochondrial functionality. These findings are in line with a previous study, conducted with ubiquinol’s precursor, coenzyme Q10.10 This study also found that supplementation before strenuous exercise decreases oxidative stress and modulates inflammatory signalling. Additionally, the results proved a reduction of subsequent muscle damage. To sum up the practical uses for ubiquinol in sports nutrition, the nutrient can be seen to have several advantages for sportspeople: regular supplementation with ubiquinol aids faster recovery, better adaption and power enhancement. 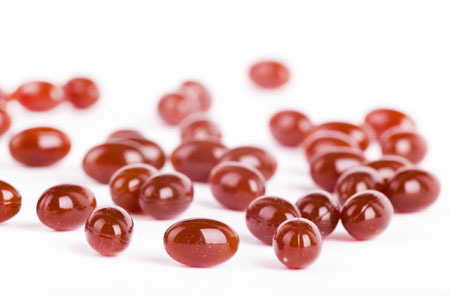 Clinically documented to be well tolerated and free from adverse effects, ubiquinol can be used in a wide range of easily digestible products, including soft gel capsules, pellets and sticks. In addition, functional foods for sportspeople can be enriched with the fat-soluble nutrient — alone or as part of a multicomponent system, combined with minerals, for instance, or with other antioxidants such as vitamin C. Recommended dosages for healthy athletes vary from 100 to 300mg per day. Athletes do not need to worry about consuming ubiquinol: the German Sport University Cologne confirms that it is not categorised as 'doping'. As such, it is part of the Cologne List of tested, doping-free substances. 1. L. Tiano, “Ubiquinol in Sports Nutrition,” presented at Bridge2Food Conference, 4th Sport & Performance Platform (Cologne, Germany, April 2014). 2. D. Mohr, et al., “Dietary Supplementation with Coenzyme Q10 Results in Increased Levels of Ubiquinol-10 within Circulating Lipoproteins and Increased Resistance of Human Low-Density Lipoprotein to the Initiation of Lipid Peroxidation,” Biochim. Biophys. Acta 1126(3), 247–254 (1992). 3. F. Olivieri, et al., “Anti-Inflammatory Effect of Ubiquinol-10 on Young and Senescent Endothelial Cells via miR-146a Modulation,” Free Radic. Biol. Med. 63, 410–420 (2013). 4. A.W. Linanne, et al., “Cellular Redox Activity of Coenzyme Q10: Effect of CoQ10 Supplementation on Human Skeletal Muscle,” Free Radic. Res. 36(4), 445–453 (2002). 5. A. Kalén, et al., “Age-Related Changes in the Lipid Compositions of Rat and Human Tissues,” Lipids 24, 579–584 (1989). 6. G.P. Littarru, et al., “Coenzyme Q10: Blood Levels and Metabolic Demand,” Int. J. Tissue React. 12(3), 145–148 (1990). 7. M. Battino, et al., “Metabolic and Antioxidant Markers in the Plasma of Sportsmen from a Mediterranean Town Performing Non-Agonistic Activity,” Mol. Aspects Med. 18(Suppl. ), S241–S245 (1997). 8. K. Mizuno, et al., “Antifatigue Effects of Coenzyme Q10 During Physical Fatigue,” Nutrition 24(4), 293–299 (2008). 9. M. Kon, et al., “Reducing Exercise-Induced Muscular Injury in Kendo Athletes with Supplementation of Coenzyme Q10,” Br. J. Nutr. 100(4), 903–909 (2008). 10. J. Diáz-Castro, et al., “Coenzyme Q(10) Supplementation Ameliorates Inflammatory Signaling and Oxidative Stress Associated with Strenuous Exercise,” Eur. J. Nutr. 51(7), 791–799 (2012).